Sussex Transport provides dedicated Sameday Road Transport and Road Haulage services across the UK. From vans, Rigids, HIABS and Artics we are a one stop shop. Sussex Transport provides dedicated same day Road Transport and Road Haulage services across the UK. 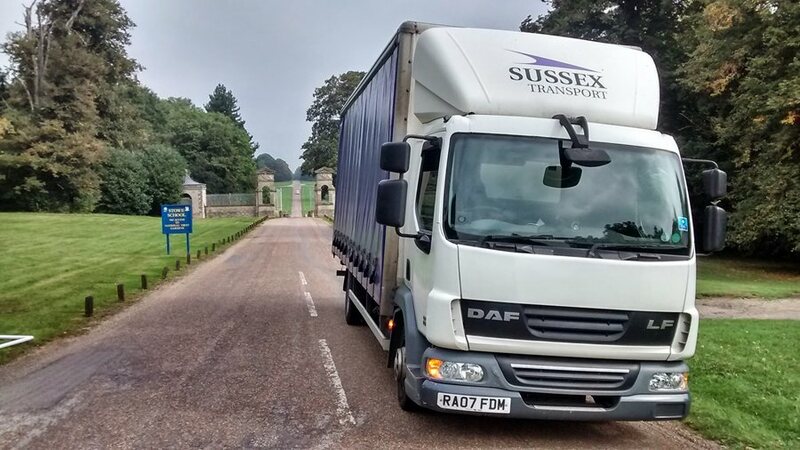 Sussex Transport provides dedicated Sameday Road Transport and Road Haulage services across the UK. We specialise in the movement of goods from A to B using HIAB, Artics, Low Loaders, Flatbeds, Curtainsiders, 18t, 7.5t & Vans. Our modern diverse fleet has the benefit of arguably the best fleet management technology available on the market today enabling us to pin-point and constantly monitor the real-time movement of our vehicles. Time critical, high value, sensitive, fragile, awkward and exhibition centre loads. Hiab delivery (crane assisted) and Trailer mounted forklift (Moffett). Our uniformed team is supplied with full PPE and hold CSCS cards, allowing access to all construction sites. Photographic I.D. is carried at all times to access secure, public, government and commercial buildings. Sussex Transport hold a Waste Carriers Licence. Sussex Transport are members of the Road Haulage Association.